Yes! 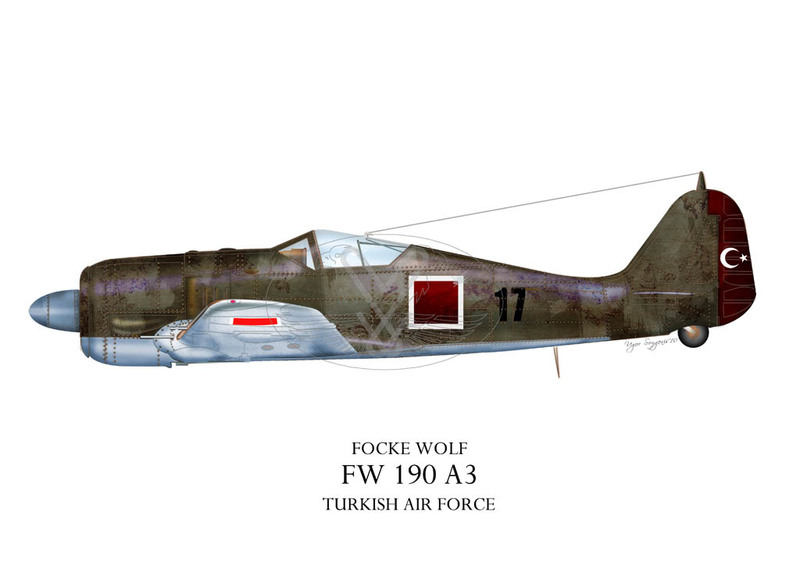 50 Lost Focke-Wulf 190 Planes may be unearthed in Turkey! » Yes! 50 Lost Focke-Wulf 190 Planes may be unearthed in Turkey! This "finding" is great. This can happen in town of Kayseri in the central Anatolian. Turkish officials apparently located the site of the burial recently and there's now a plan to dig out these vintage planes. The site is a defunct airport currently used as a military headquarters. Although aviation experts dispute the improbability of the burial of the single-seat fighter aircrafts en masse and claim they were sold for scraps after they were decommissioned, others believe they are still preserved underneath, wrapped in sheets, Daily Sabah reported. These warbirds were part of the contingent of 72 new aircraft delivered to Turkey by Nazi Germany in an effort to keep that country friendly to the Axis powers. The negotiations were led by Franz von Papen. It was a barter deal. Nazi Germany supplied Focke-Wulf Fw-190 fighters in exchange for chromium and high-grade iron from Turkey. The German war effort needed raw materials and Turkey needed modernize its air force. These warbirds were designated Fw 190 A-3a (export model of A-3, a stood for ausländisch—foreign) and were delivered between October 1942 and March 1943. In that time, the Fw-190 was certainly the Luftwaffe’s best fighter and was one of the top fighters in the world. These planes were powered by a BMW 801D-2 radial piston engine, FuG VIIa radios and had four MG-17 machine guns. The Fw-190 was immediately popular with Turkish pilots, who liked it’s good handling, wide landing gear, and of course speed and maneuverability. 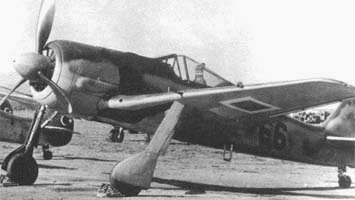 The Fw 190 remained in service until the end of 1947 after that all of them had to be retired because of lack of spare parts and biliteral agreements. After World War II, when Turkey moved towards taking its place in the Atlantic alliance, US officials offered to give Turkey surplus US fighter planes as part of a general effort towards their allies. During the negotiations, for some reason the US officials demanded that planes of German origin be destroyed in return for the delivery of the US planes. However, instead of physically destroying the planes, Turkey then apparently buried around 50 of its Fw-190s in Kayseri in 1947, wrapping them up in oiled canvass before the burial (there's no mention about what happened to the remaining planes from the original 72). The grandson of the commander of the air-base in Kayseri is quoted in the news piece as saying that he had consulted with German experts about the planes and they told him that Fw-190s were built corrosion-resistant and as such they could be restored to flying condition if they were to be unearthed. As Daily Sabah reported, researchers pressing on the government to recover the planes finally had the opportunity for excavation work at the site last year, but red tape delayed the process. However, the process is expected to resume soon, months after metal detectors detected traces of buried planes. Uluhan Hasdal, an amateur aviation historian, said the planes may still be operable, as they were made to endure corrosion. Nejat Çuhadaroğlu, founder of Hisart Museum, seeks to exhibit the planes in his museum and hold talks with army officials for excavations. "If recovered and allowed to be exhibited, they may be the first Focke-Wulf FW 190 planes to be exhibited in the world," he says. On Internet, this news has generated a great feeling. Many surfers and World War II planes' geeks begin to dream of being able to see someday more footage of authentic 190s.